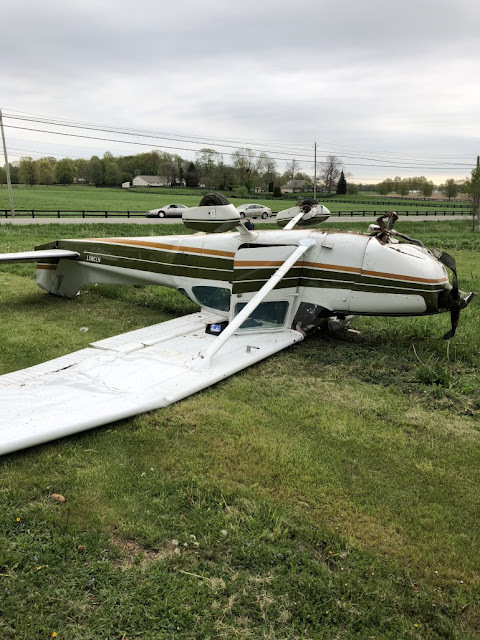 On May 11, 2018, about 0940 eastern daylight time, Cessna 172N airplane, N738XT, was substantially damaged when it impacted the ground and nosed over during takeoff from runway 10 at the Markley Farm Airport (OH24), Orrville, Ohio. The private pilot received serious injuries and the passenger received minor injuries. The airplane sustained damage to the fuselage, wings and vertical tail. The aircraft was registered to and operated by the pilot under the provisions of 14 Code of Federal Regulations Part 91 as a personal flight. Visual meteorological conditions prevailed for the flight, which was not operated on a flight plan. The flight was originating at the time of the accident and the Greenbrier Valley Airport (LWB), near Lewisburg, West Virginia, was the intended destination. 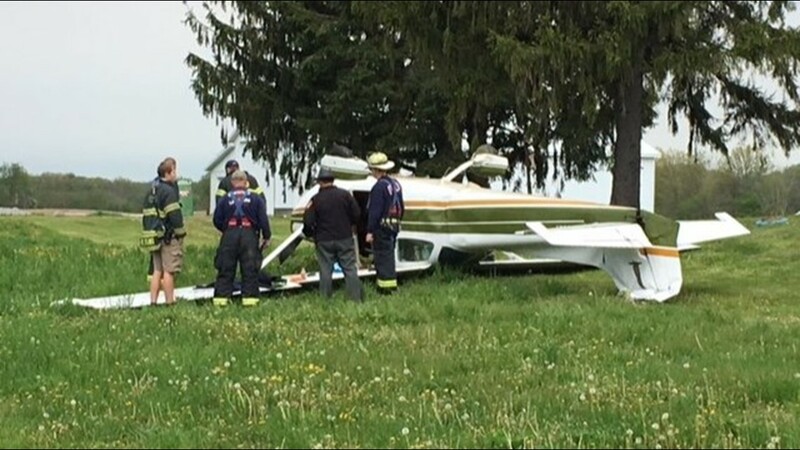 The pilot reported that he was taking off on runway 10 from his private grass airstrip. He reported that he noted the wind was calm and that the temperature was "warmer", and he referenced the pilot's operating handbook for a soft field takeoff using 10 degrees of flaps. He stated that after takeoff the airplane was in ground-effect and was gaining speed. He noted that he checked, and the airspeed was between 50 and 60 knots. When he looked back toward the runway, he was left of the runway and corrected back to the right. He re-checked the airspeed and it was now reading between zero and the bottom of the white arc (41 knots). He stated that he thought that the airspeed reading was due to a pitot system error and pulled back on the yoke to see if he could climb out; however, the stall warning horn sounded immediately. He diverted to the left to avoid obstructions and was losing altitude rapidly. He pulled the yoke back all the way to fully stall the airplane and it struck the ground and nosed over. He noted in his report that, to the best of his knowledge, there were no mechanical failures or malfunctions with the airplane, engine, or systems that would have precluded normal operation. 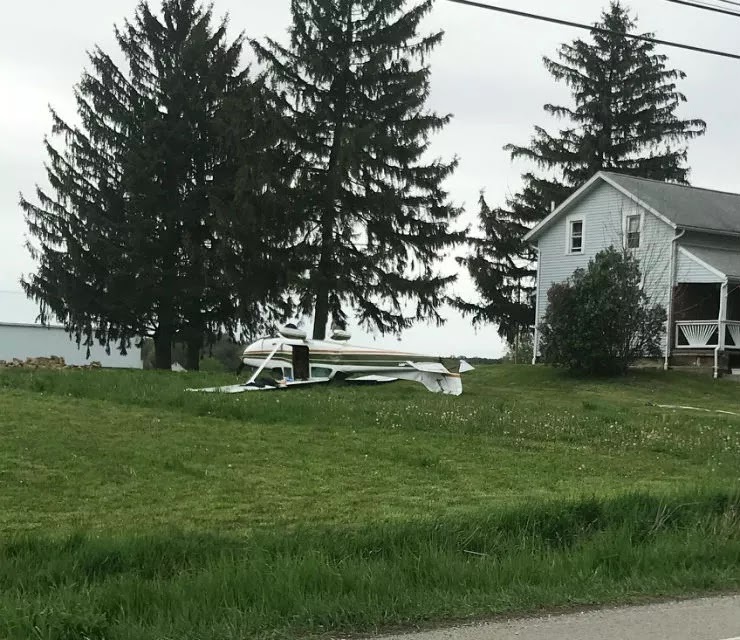 ORRVILLE, Ohio -- Authorities are investigating after a small plane crashed near state Route 57 and Five Points Road Friday morning. Two passengers inside the private plane suffered minor injuries. The passengers are local residents, according to Ohio State Highway Patrol. The plane crashed shortly after takeoff from a privately owned airfield. Authorities believe the pilot was attempting to return the plane to ground to avoid striking powerlines when the plane ran out of runway space. The plane's landing gear snapped, causing it to overturn in a yard near a house. Ohio State Highway Patrol and fire crews remain at the scene. ORRVILLE, Ohio-- A small plane crashed in Wayne County Friday morning, the Ohio State Highway Patrol says. It happened at state Route 57 and 5 Points Road just north of Orrville during an aborted takeoff. The two people on board, the pilot and his wife, were taken to Aultman Orrville Hospital for minor injuries. ORRVILLE A small single-engine airplane with two people aboard crashed shortly after takeoff about 9:50 a.m. Friday near State Route 57, just north of Five Points Road. 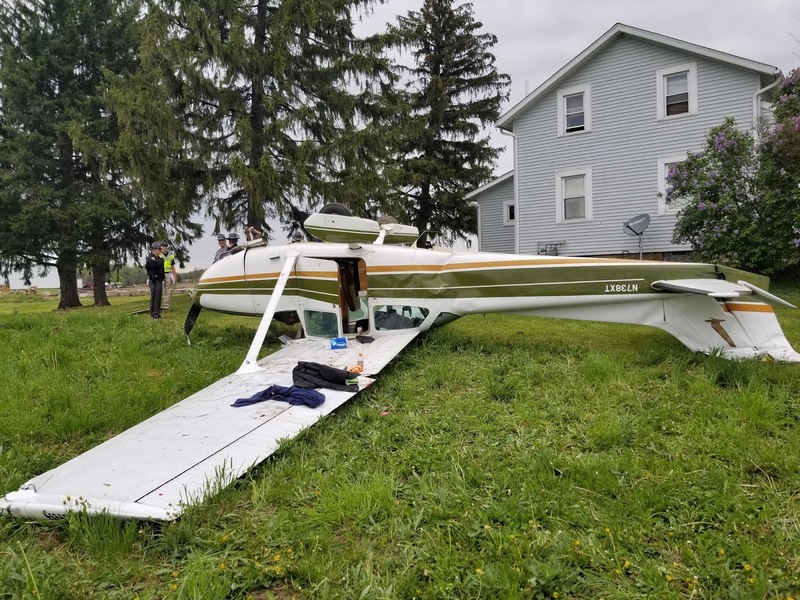 According to Orrville Fire Chief Chris Bishop, the plane took off from a private landing strip nearby and failed to get any lift, crashing after getting about 30 feet off the ground. The front end hit first, and then the plane flipped over. According to the State Highway Patrol, which is investigating the crash, the pilot guided the plane down to avoid hitting the wires that run along the road. 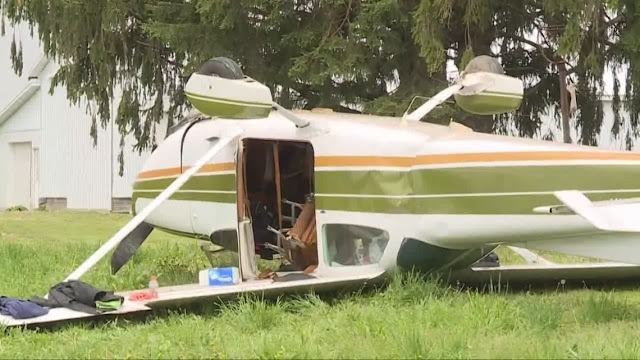 The two occupants — Larry Markley, the pilot, and his wife Sally — were transported to Aultman Orrville Hospital with minor injuries, Bishop said. When the first medics arrived they were still in the plane seat-belted, and medics helped them out of the plane. The plane crashed within about 30 feet of a nearby house. 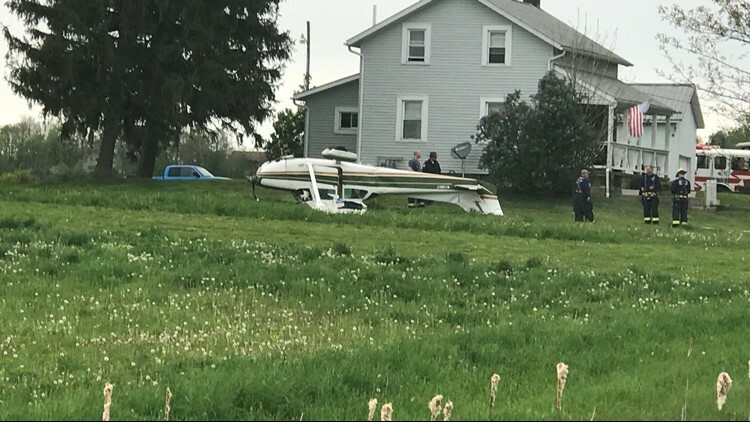 ORRVILLE, Ohio - A small plane has crashed in Wayne County on Friday morning. The plane crashed in a field at 6239 Wadsworth Road in Orrville, according to the Ohio State Highway Patrol. Glad to hear nobody was hurt. It's a shame that nice Cessna is now scrap. The private field that they took off from is listed as 1,633' X 200' turf so not much room for error. I've heard that if the grass is a little too high or the ground is soft that increases takeoff roll due to resistance. IMHO that field is better suited for an ultralight or a Cub. I couldn't help but notice the seat had came off the rails. Think that could be the cause? Since he/she only attained 30' agl perhaps they forgot to remove the control column gust lock.